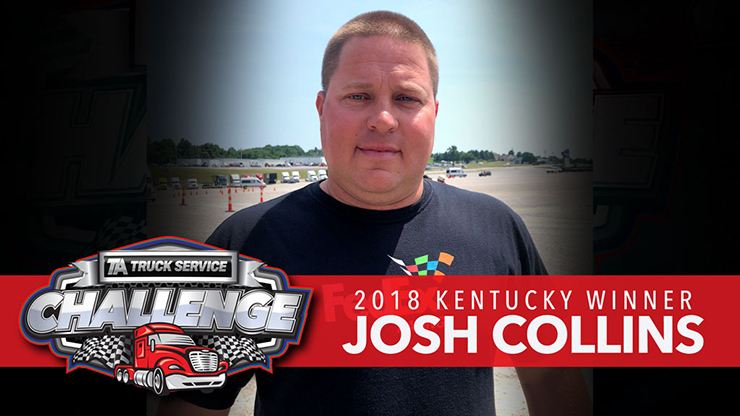 Congratulations to Josh Collins, who won the Challenge at the Kentucky Speedway on July 12. Collins hauls equipment for Denny Hamlin’s No. 11 FedEx Cup series car and is the third member of the Joe Gibbs Racing team to win the Challenge this year. While the main responsibility of these transport drivers is to make sure their race cars get to the track on time, that’s certainly not all they do once they arrive at the track. Collins has been a NASCAR transport driver for six years. He has spent the last two years with the Joe Gibbs Racing team, and before that he worked for Penske Racing. 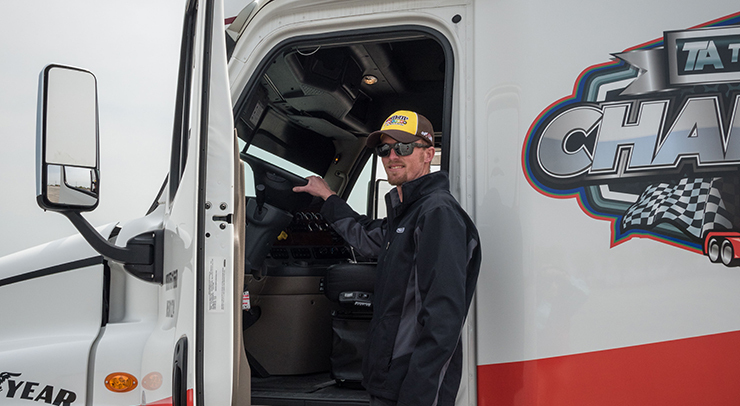 Before his time as a NASCAR transport driver, he was a long haul over the road driver for a local company in Mount Airy, North Carolina, where he is from. The best part about being a professional truck driver for Collins is getting to see the country and the competitive nature of NASCAR. When Collins isn’t driving to the next race, he’s spending time with his family in North Carolina. He and his wife have a 10-year-old son and a soon to be two-year-old daughter. In addition to playing sports, Collins’ son also likes to collect old coins. Before he had even gotten back home, it was brought to his attention that his son had already spent most of his Challenge winnings on old coins for his collection. In all of Collins’ history visiting TA and Petro Stopping Centers for fuel along his routes, he says his favorite parts include the clean showers and the good restaurants. Collins also expressed his appreciation for the Challenge, as he explained that most of the other competitions designed for the transport drivers have disappeared over the years. We are proud to sponsor the Challenge and are grateful for all of the professional drivers on the roads. We are eager to see how the rest of the season plays out and wish Collins and the other competitors good luck in the next two events. The next Challenge will take place at the Las Vegas Motor Speedway on Sept. 13.